In this interview, Jolie and Mem talk writing process, re-writing, and Mem shares the best piece of advice she's ever received... and there's even a sneak peek at the intensive course Mem will be offering with editor Allyn Johnston, where we're advised to make every syllable count. And how does Mem know when a story is ready to go? "...the hairs on your arms have to stand up." 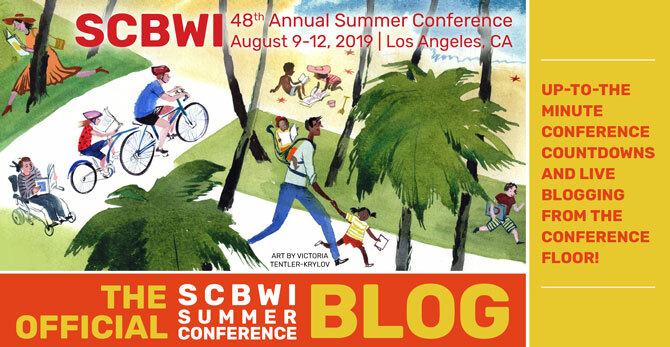 Mem will be on faculty at #LA15SCBWI, giving the opening keynote on Friday July 31st, "Inside the Writer's Head: The Writerly Thoughts That Lead To Success." She'll also be doing a breakout session (on both Saturday and Sunday) with Editor Allyn Johnston, "Let's Talk Picture Books... Q&As and some read aloud fun!" 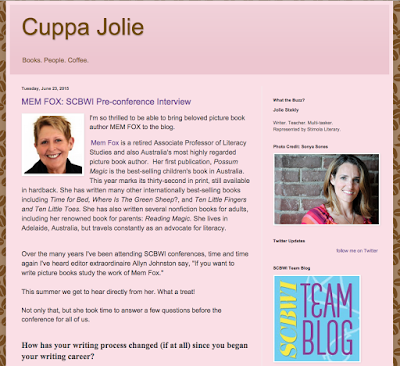 We hope to see you at the 2015 SCBWI Summer Conference. Details and Registration info are here.